The Chinese ambassador’s September visit to Petaling Street on the eve of the redshirt rally continues to reverberate across the political landscape. Last week, cabinet, after dithering for several weeks, finally decided to summon the ambassador to apparently learn what he did or did not say. No doubt this is just another ‘sandiwara’ that only confirms how hopelessly muddled, dysfunctional and amateurish our government has become. It cannot even manage a decent pretence of defending national face – summoning an ambassador while being almost apologetic about it! More importantly, these developments also serve to highlight the increasing globalization of our discontent. 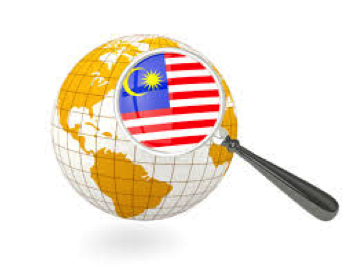 Frustrated by their inability to obtain justice at home and having lost all confidence in the government to fulfil its constitutional responsibilities, Malaysians have increasingly gone global with their concerns, setting the stage for an unprecedented level of international scrutiny and involvement. In 2007, for example, HINDRAF appealed directly to the Prime Minister of Britain for help over the plight of Malaysia’s ethnic Indians, while in 2013, a coalition of Malaysian NGOs earned the displeasure of the government when they highlighted during the UN’s universal periodic review process in Geneva serious lapses on the part of the government in upholding basic human rights. More recently, former UMNO leader Khairuddin Abu Hassan, pressed his case for a thorough investigation into the 1MDB scandal in major capitals of the world. He was arrested and jailed before he could take his case to Washington. Partly as a result of his efforts, investigations have been launched in a number of different jurisdictions that have the potential to seriously embarrass Prime Minister Najib Tun Razak, if not bring down his administration. The full extent of the 1MDB scandal in turn came to light partly because unknown insiders were so distressed by what was going on that they felt compelled to blow the whistle. And knowing how bootless our justice system has become, they went global via groups like the UK-based Sarawak Report. The rest is history. Nurul Izzah, for her part, has appealed to leaders across the globe to condemn the criminalization of Malaysia’s opposition. On a visit to Washington, she also raised the plight of her imprisoned father, an Amnesty International prisoner of conscience, and pleaded with the Obama Administration and the US Congress not to support an abusive government. Angry over the injustice of Dato’ Seri Anwar Ibrahim’s imprisonment, Malaysian groups have also pressed the international community to get involved, resulting in a series of stinging international rebukes for the government, the most recent being that of the UN Working Group on Arbitrary Detention. Meanwhile, the Opposition leader, Dr. Wan Azizah, has urged the US Embassy to stop negotiating with Malaysia on the Trans-Pacific Partnership Agreement (TPPA), arguing that with the US now investigating the 1MDB scandal, Najib might be vulnerable to US pressure. Even Dr. Mahathir, who has always been prickly about perceived slights and foreign meddling in the past, has taken to dreaming out loud about the possibility that some foreign power might solve the political impasse in Malaysia by arresting Najib. While the globalization of our discontent is, of course, understandable, and in some instances even entirely appropriate, it is not without risks. The surprise and sudden intervention of the Chinese ambassador in the Petaling Street affair, for example, has certainly made China a player to be reckoned with in our evolving domestic political situation. It also appears to suggest that China now considers the protection of all ethnic Chinese, irrespective of their nationality, part of its core responsibilities. This could have profound domestic and regional implications. It was also disquieting that some commentators went so far as to invoke the “Responsibility to Protect” [R2P] doctrine in defending the Chinese ambassador’s intervention. R2P gives major powers the moral mandate to intervene, by force if necessary, to protect minorities facing genocide. This is surely not the case in Malaysia, as worrying as the situation is. To give the Chinese ambassador, or any ambassador for that matter, that kind of cover to meddle in our affairs is unjustified, dangerous and foolhardy to say the least. Undoubtedly, any expansion of Chinese influence in a strategically-located nation like Malaysia isn’t likely to be welcomed by Washington, particularly at this time when the two powers are going head to head in the Asia-Pacific region. We also have the spectacle of Singapore openly taking sides in Malaysian politics by coming out in support of Malay [read UMNO] dominance. It is a cheap attempt at currying favour with a beleaguered government in the hope of advancing its own strategic interests. As other commentators have pointed out, a weak and divided government in Kuala Lumpur, of course, suits Singapore just fine. As well, we have a convicted murderer sitting in an Australian prison with an explosive story to tell, a story that could well bring down the government. Imagine the leverage that that gives Australia in its dealings with the Najib Administration. And, of course, UMNO by its own seemingly proud admission, is now beholden to some foreign potentate who apparently financed the party’s electoral victory. It’s a scary thought that we might have a government that has been bought and paid for by a foreign power. Though we may be too caught up in the heat of the moment to worry about all the implications of foreign interference, the dangers are real enough. History is full of examples of the terrible consequences that befall nations when foreign powers start meddling in domestic affairs. Nations, after all, rarely if ever, act out of altruism. When it comes to national interests, countries, even friendly countries, tend to behave more like predators than anything else, seeking only to expand their influence for their own benefit. In many ways, it is a zero sum game; the more influence they gain over our domestic affairs, the more we lose. They may give great speeches about justice, upholding international law and respecting the rights of others, but only the very naïve would take what they say at face value. The Chinese ambassador, for example, made much of his country’s opposition to “any form of discrimination” while conveniently forgetting his government’s own dismal treatment of minorities at home. Beijing itself would very likely go ballistic if the Malaysian ambassador to China were to repeat in Lhasa or Ürümqi Ambassador’s Huang’s exact same words about opposing all forms of discrimination. The US is no different either. In an appalling act of hypocrisy, it whitewashed Malaysia’s human trafficking record even as mass graves were being uncovered in the jungles of Malaysia. The Obama Administration so badly wants Malaysia on board the TPPA, and in its bailiwick, that it is prepared to overlook a shocking human rights scandal. Perhaps there’s an unspoken trade-off: in exchange for joining TPPA without question, all skeletons will be buried. And so, after almost six decades of independence, we now find ourselves weak, disunited and more vulnerable to foreign meddling than ever before. This is what the long years of ‘umnocracy’ have wrought upon the nation. If we don’t get our act together, if real political change doesn’t come soon, Malaysia will increasingly become the region’s next battleground for big power rivalry.